From the Greek "bunch of grapes" and = "to bear," similar to botryoidal. 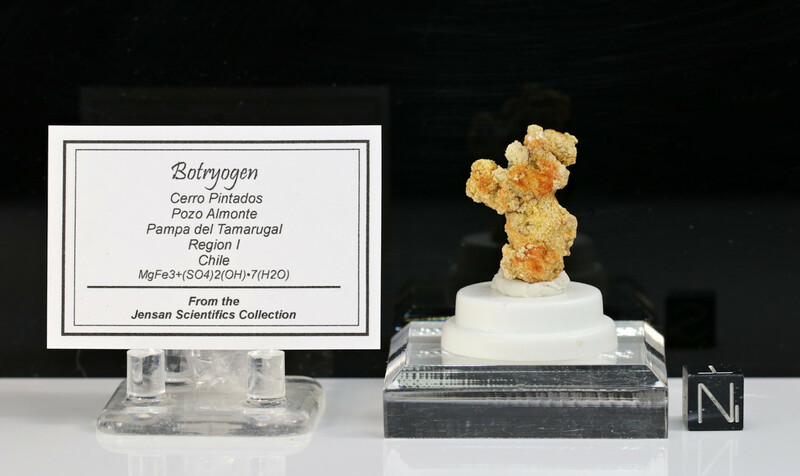 Botryogen is of interest to scientists who are studying volcanic fumerole regions and the surface of Mars. Evidence indicates that there is the possibility for the formation and existence of sulfate minerals in the permafrost on Mars. Sulfates are important secondary minerals produced from the evaporation of fluids involved in the aqueous alteration of Mars’ primary lithology. They indicate an interaction of volcanic sulfur in the form of sulfide or gas with crustal materials, with the presence of water. 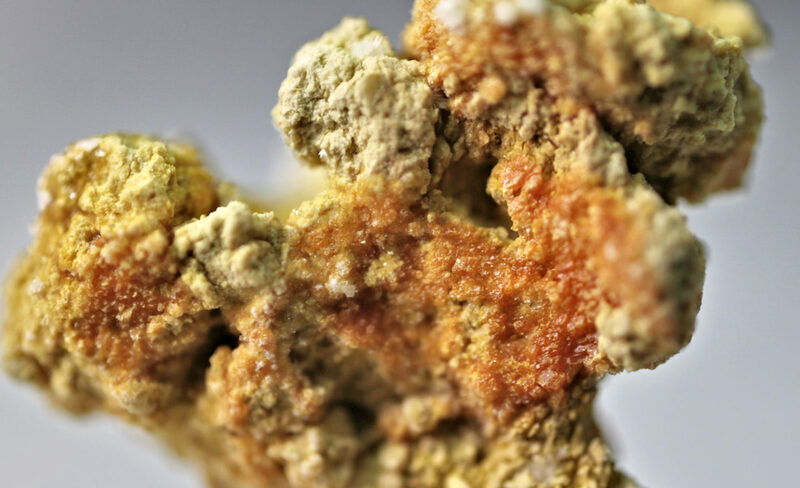 The formations of these minerals testify to earlier, wetter and an acidic climate on Mars. Sulfates can form as evaporates in standing bodies of water, by precipitation from saturated groundwater, or by acidic fog alteration. Significant sulfate deposits on Mars occur in two main regions: within and near the equatorial Valles Marineris canyon system and in dunes around the north polar ice cap. Sulfates are found throughout Valles Marineris, in related outflow channels such as Aram Chaos, and in areas east of Valles Marineris such as Meridiani Planum. The reason for the association of sulfates with Valles Marineris is uncertain but could be due to the nearby Tharsis volcanism, deep basins to concentrated or sulfate-rich brines, and hydrothermal or groundwater circulation of sulfur-rich fluids. Specimen size: 28mm L x 20mm W x 12mm D, Very nice specimen. Ships with tag, display case and Certificate of Authenticity. Stands and cube not included. Ships free priority shipping in the USA. International shipping available.